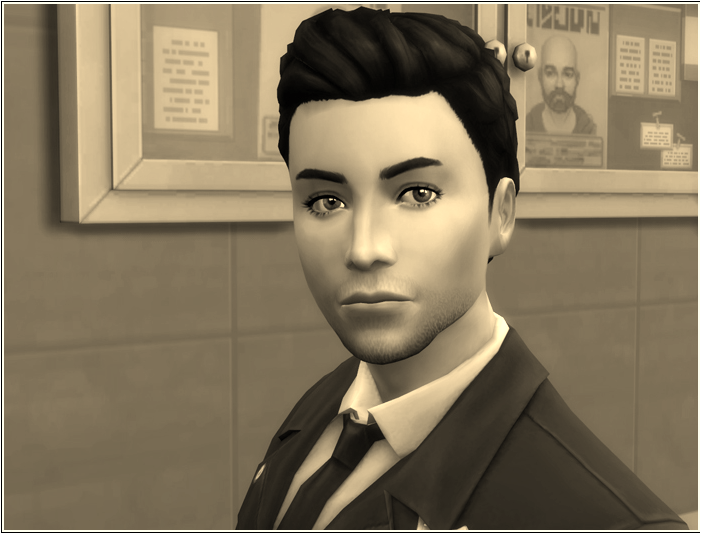 I have become the full-fledged member of the Newcrest police force at last. I've been working so hard for this and now even more work laid ahead of me. The rank of a detective was what I aimed for. The door to solve serious crimes such as murders and kidnappings. Crimes that ruin people's lives as it had ruined mine. Chief Johnson wanted to welcome me personally. 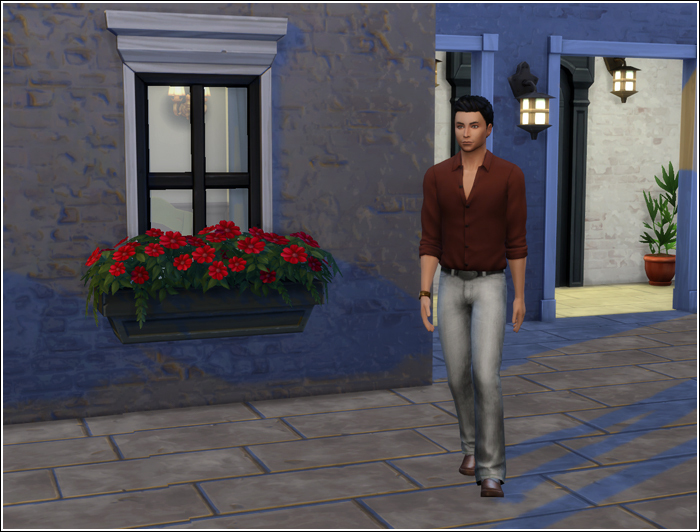 He gave me the we-are-proud-to-have-the-Newcrest-heir-in-our-ranks speech. Hopefully he will judge me by my performance not by my birth, I thought. As it turned out much later the reality was far worse than my least optimistic expectations. 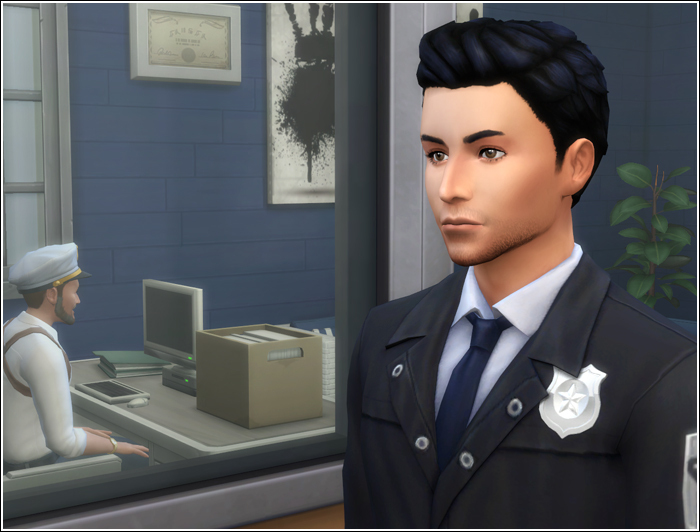 On my way out of chief's office I bumped into none other than Raven Nightshade. Despite myself I had to admit she looked really good. She no longer wore the showy makeup as in high school. The short hair she now sported accentuated her high cheekbones and big brown eyes, giving her somewhat boyish look. The pendant on her neck drew my attention to her low neckline. I noticed she's not wearing a bra. I reluctantly looked up to see her smiling at me knowingly. It was more a smirk than a smile. Some things don't change. ​"Hello, Chris," she said. "Long time no see." "How's the legacy going? Sorry about your mother." I couldn't tell whether she meant it or was mocking me. With Raven you never knew. So I just acknowledged what she said with a nod. 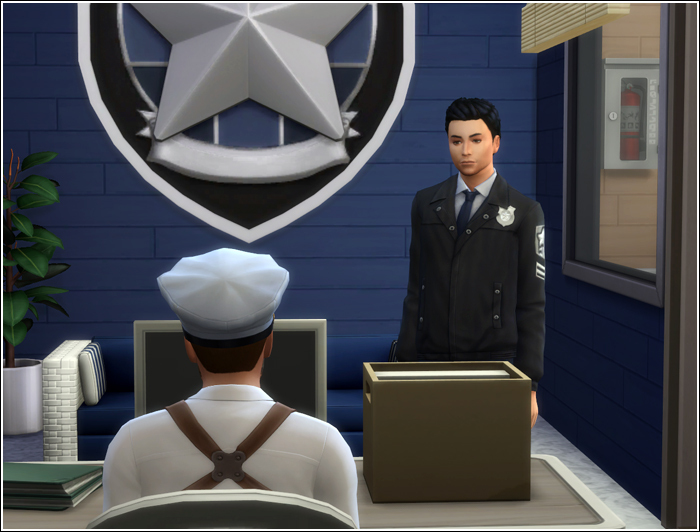 We stood there for a moment looking at each other not knowing what else to say until the chief poked his head out of his office. "Ms. Nightshade, good you're here. I'm ready for the interview. Please, come in." Raven gave me a last look and headed to chief's office. I watched her swinging her hips as she walked. 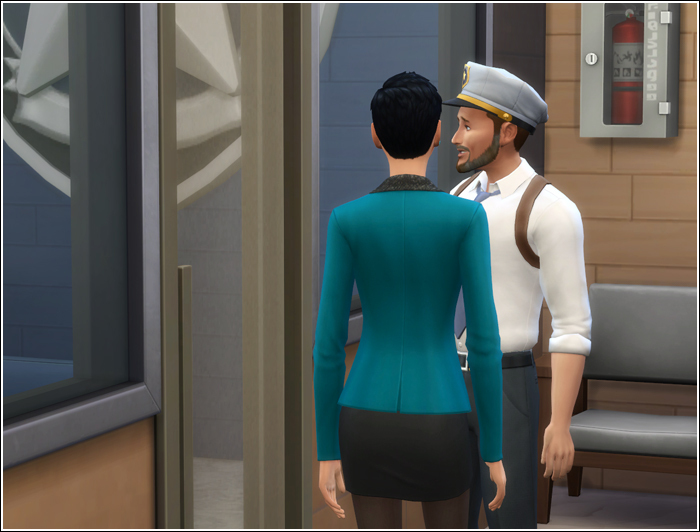 When she disappeared inside, chief Johnson closed the blinds. I had to force myself to think about my new duties otherwise my imagination would run wild with ideas of what is possibly happening in there. There's no point lying to myself. I thought I burried them pretty deep, but I still have them. The feelings. When I saw him again it has all come back to me. I was still in love with Chris Heffner. ​He wasn't the cute boy I remembered anymore, yet he wasn't any less attractive because of it, on the contrary. His face had more sharp edges now, the stubble gave him just a hint of untidiness making him look more manly. However, the most striking change I noticed about him were his eyes. The warmth was gone. There was only a hardness born from loss and innermost grief in those eyes. You wouldn't see it if you didn't know what to look for. I did, because I saw the same every time I looked in the mirror. I understood him more than he'll ever know. I chased away my thoughts. I had an interview to focus on. Chief Johnson loved listening to himself, willingly offering me plenty of material for tomorrow's edition of Newcrest Courier. He wasn't always this accommodating, oh no, but since I dug up his dirty little secret he's been bending over backwards to comply with my requests for interviews and first hand information. He was my iron in the fire, because he planned to enter the political scene in the future. He had his sights set on the empty spot in town council and I knew the ambitious prick won't stop there, meaning I'd have access to even more valuable information if he succeeded in his effort. We both knew I was holding him by his family jewels but why let the fact bother us when we both could prosper? I set my voice recorder on the table and proceeded with the interview. But soon I caught myself thinking about Chris again. I couldn't get his image out of my head. I knew all I could coax out of chief Johnson about the case that ended up with Beryl's Heffner death. I used some of it in my article, but not everything. I learned about what Chris had to witness. No wonder you couldn't find any pictures of him smiling ever since. The legacy boy was damaged. He didn't go to any therapist I knew personally, so he was probably still dragging the burden along. I was wondering how it would affect his job and his relationships. I had my own theory. He wasn't dating anyone, if he was, the tabloids would get wind of it. You must be full of anger and grief, poor legacy boy. I wonder how you vent those? Because you can't keep them inside you forever, do you know that? I stopped the voice recorder. "Thank you, chief, that was very helpful. Make sure to check out the front page of tomorrow's edition. However, I have one more favour to ask. I need you to arrange an interview for me with the newest member of your department. I want you to send Chris Heffner to me." Running into Raven at the station made me nostalgic. 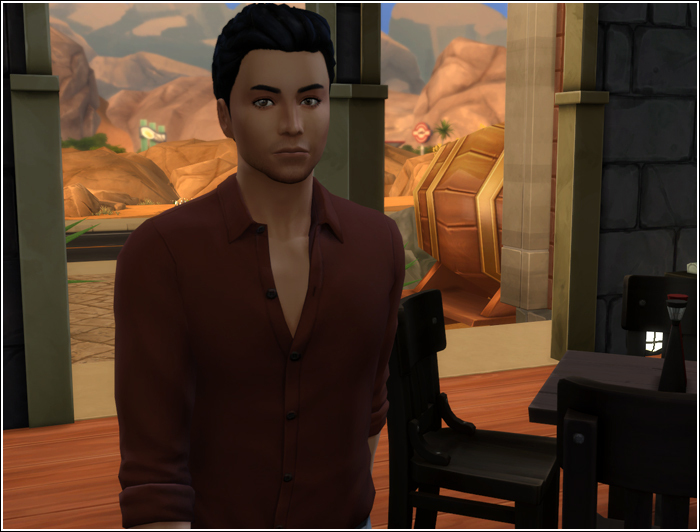 When I drove by the old Camel's Back Bar on my way to Oasis Springs gym it felt only natural that I pulled up and went there instead. With how things are changing fast these days it was rather reassuring to find this place still open. This was where my very short-lived romance with Raven ended after Kellie and Kristi had caught us making out downstairs. And then things with Kellie got awkward. I wonder if we ever had a chance, Raven and I. Maybe, if she hadn't acted like a rabid dog sometimes. ​I couldn't take her gaze any longer. "Did you need anything, madam?" I asked. "I'm sorry for staring at you like that," she said. "I'm waiting for someone. I thought you may be him, but from your reaction I gather you are not. Looks like my blind date stood me up. Are you by any chance in need of a company?" ​My instinctive reaction was to say I wasn't, but then I asked myself, Why the hell not? I looked at her again. How could anyone not show up for a date with such beautiful woman? I'd probably never dared to ask her out of my own accord. She was completely out of my league. 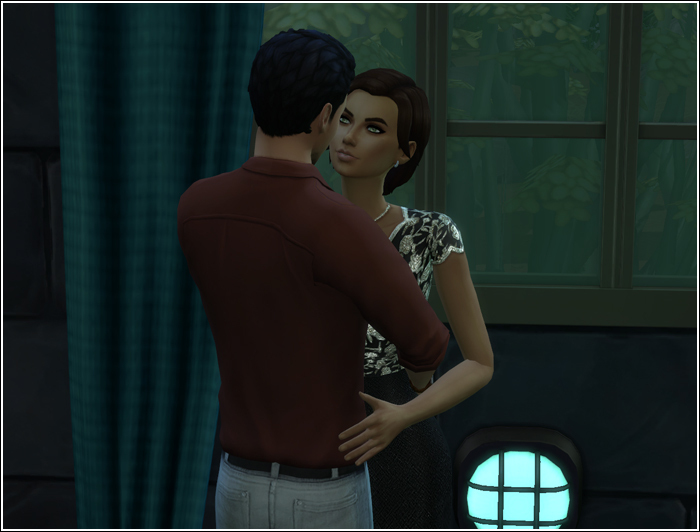 The longer I looked at her face and into those strikingly green eyes the more mesmerized I was. I caught myself saying, "I definitely wouldn't mind your company." ​We chatted for another hour or two. My words sounded clumsy to me, but she didn't seem to mind. She laughed at my jokes and occasionally touched my arm or a shoulder never breaking the eye contact. I've never been hit on by a woman in such obvious way and I realized I was enjoying it immensely. It made me feel alive. The fact that I felt anything else than anger and sadness meant a significant improvement to the state of my mind over the past few years. Later she asked me if I didn't mind dancing with her. And so we danced. When was the last time I felt this good? There was just me and her. No painful memories, no responsibility, no pretending. Just her eyes trapping me in their green depth and her warm body pressed against mine. 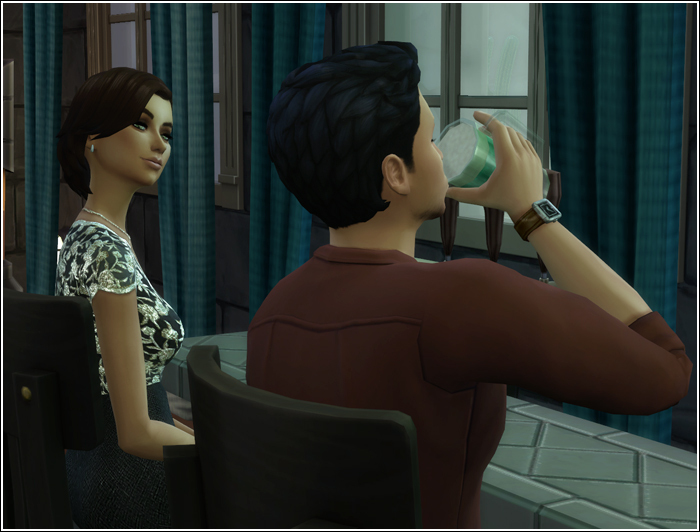 Although it crossed my mind at least once I didn't actually believe the two of us would leave this bar together. But it was becoming increasingly apparent that it's exactly what was about to happen. She couldn't keep her hands off of me and after we had been kissing for some time she asked me if I wanted to continue at her place. At this point saying no wasn't really an option. I don't remember how we got to her house. We climbed the stairs to her bedroom, stumbling, tugging at each other's clothes, stripping them off. She kept teasing, touching me at places, kissing me, waking something savage inside me. With a low growl I grabbed her hips and lifted her up and on the counter behind her. She wrapped her legs around my waist pulling me even closer. She ran her hand over my chest and down my stomach reaching for my belt buckle. Everything except us ceased to exist. Tongues danced. Breaths grew heavier. Moans escaping her throat drove me mad. I felt so deliciously alive. I wanted more. I wanted it to last forever. I wanted. I hungered. I desired. The second time we did it in the bed like decent people. To be honest, that's where all decency ended and something else started. She tried to pull me back to her again for a third time, but I really had to go. I didn't want to stay overnight. As I was walking to my car I realized she didn't tell me her name. Perhaps it was better that way. I felt the emptiness crawling back to its place inside me. But nothing lasts forever. Tonight I've learned that the void can be filled. The darkness can be chased away. Even if for a short while.